Understanding some of these key statistics will give you a better understanding of what consumers are doing on your site, how they’re interacting with your content (if at all), and what you need to do to improve your content to reach more people. 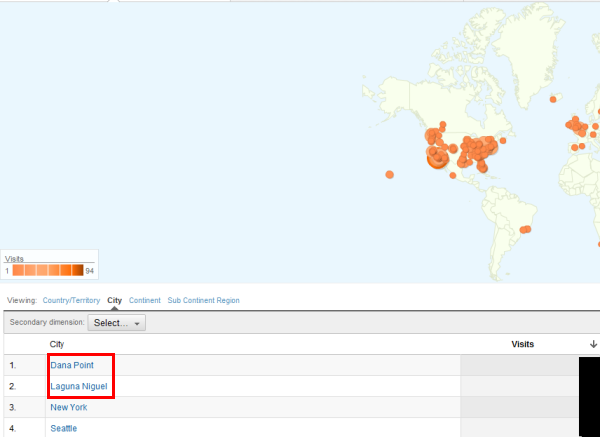 Where this type of data becomes useful, is it gives you an understanding of who’s visiting your website. More specifically, from which locations. This is useful because it tells you whether you’re attracting the right demographic or not. Is anyone local reading your blog? Yes or no? Then, what can you do to improve that. Are potential out-of-town buyers reading your blog? How can you write content that’s better tailored for them? If you log into your Google Analytics, click on “Content” – then, click on “Landing Pages.” This will show you what some of your most-trafficked pages are. In other words, these are some of the top pages people are landing on when they search. In addition however, Google will also show you the bounce rate for some of these pages. In other words, how long are people staying on these pages before click off and away from your site. If that number is high, it might mean readers aren’t finding your content very relevant to their search so you need to work on improving that. How much of your site traffic are you converting? In this case, rather than look at basic email subscribers, let’s look at this from your IDX registrations standpoint. 1. Add a new account in Google Analytics for the URL “http://idx.diversesolutions.com”. 2. Copy your “Tracking ID” code. 4. Click on the “Search Options” tab. 5. Then, paste your Tracking ID in the box labeled “Google Analytics Web Property ID”. 6. Check the box that’s labeled “Track Google Analytics in Website” if you also use Google Analytics for your normal website tracking. Otherwise, leave this un-checked. 7. Click on “Save Changes” and you’re all set to go! How do you set up Goal URL’s in your Google Analytics Account? 1. Login to Google Analytics Account. 2. Click “Analytic Settings” in the orange at the top left. 3. Find the domain name. 4. Click “edit” on the far right. 5. Click “Add Goal” to the right of “Goals (Set 1)”. 6. Enter a “Goal Name”. This should reflect the purpose of the goal. So, for example, if you are using the goal URL, /IDX/Visitor Registration (which means someone has registered on the IDX) you might want to enter a name such as, “IDX Registration Complete”. 7. Leave “Active Goal” as “On”. 8. Goal Position: If you are adding more than one goal, be sure to change this to “Set 1, Goal 2” etc. as you add more goals in the set. If it’s your first goal in the set leave it as-is. You are able to add 5 goals per set. 9. Goal Type: URL Destination. 10. Match Type: Exact Match. 12. Leave everything else as-is. 14. Once all your goals are set you can begin testing. Keep in mind that this MAY NOT start to work for up to 24 hours. So, you may want to reserve your testing for the following day. Once you’ve set all of this up, you’re ready to start tracking! What other metrics are you tracking? 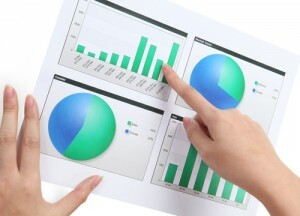 What are you using for analytics? What’s the point of the cname and Google Map API? Are they necessary? I’ve done neither, but I can still can (and do) track those URL’s as goals in Google Analytics just fine. Also, what is ” /IDX/Search – Zillow” and ” /IDX/View Property Details – Zillow”? Those are new to me. Tina: I believe those correspond to when someone clicks on the “Zestimate” to view details… IF you have Zestimate activated of course. Just want to double check something on that url: “/IDX/Visitor Registration”. No dash between Visitor and Registration?